Standards and technical engineering information. Covers all engineering disciplines, including aerospace, biomedical, chemical, civil, environmental, geological, health and safety, industrial, materials science, mechanical, nuclear, petroleum, soil science, and solar engineering. ASTM International publishes the Annual Book of ASTM Standards, which in 2008 consisted of 81 volumes divided among 16 sections. These volumes contain full-text of standards approved in 2008. ASTM standards, published in the multi-volume Annual Book of ASTM Standards, cover testing procedures, specifications and standard practices for a range of materials and topics. Their numbers indicate the broad area of the standard and the year they were published; for example, B160-61,"Specification for nickel rod and bar" is in section B (non-ferrous metals) and was published in 1961. Standards are regularly updated (and given new year designations), but not every ASTM standard is updated every year. As topics change, standards are sometimes withdrawn or given new titles/numbers. For current and recently withdrawn ASTM standards, search ASTM Compass. Standards are available in HTML and pdf versions. We also have ASTM standards in print until 2008. The 2008 edition is shelved in the Reference Collection in the Science and Engineering Library at call number: SCI REF TA 401 A653, with earlier editions (1999,1994) in the Five College Depository. The 2004, 1999, and 1994 Subject Index, Alphanumeric Lists (Section 00 Vol. 00.01) are shelved in the Science and Engineering Library Reference Collection. 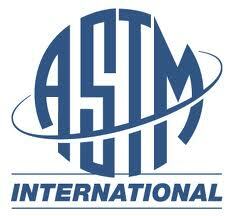 A brief overview of ASTM International is included in the forward of the set .